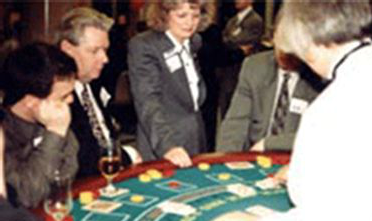 Planning a Theme Cruise Singles Parties to Casinos! 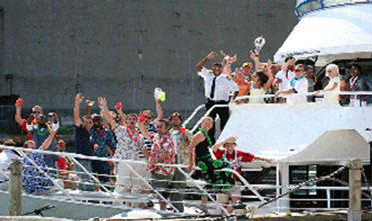 Themes tend to have two basic varieties: those supporting events, such as a Birthday cruise or Caribana cruise, and those representing iconic cultural identities, such as a Pirate cruise or a Disco cruise. Other events might include Mother's Day cruises, Tall Ships cruises, Pride Week cruises, Dragon Race cruises, Canada Day cruises, Festival of Fire cruises, Jazz Festival cruises, Air Show cruises, and Halloween or Remembrance Day cruises. Themes that are more iconic might include singles cruises, goth cruises, stag and doe cruises, fashion cruises, magician cruises, or comedy cruises. Our clients tell us that our own crew members are among some of the finest 'cast of characters' found afloat, but part of this credit must also go to some of Toronto's best entertainment providers, with whom we work very closely. And feel free to customize your dinner cruise: perhaps a focus on having a BBQ Cruise or arranging a "Murder Mystery Dinner"? 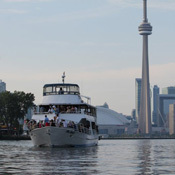 Or synchronize your own Jazz Cruise with Toronto's various jazz festivals? 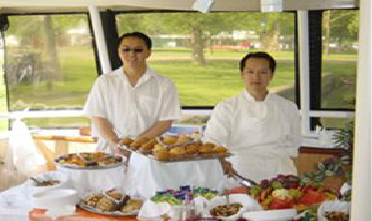 Miss Toronto can be your floating Toronto Harbour restaurant and host your perfect dine and dance evenings, but we can also arrange breakfast cruises and lunch cruises during daylight hours. Have the best themed cruise aboard Miss Toronto.